Franz Waxman (December 24, 1906 ? 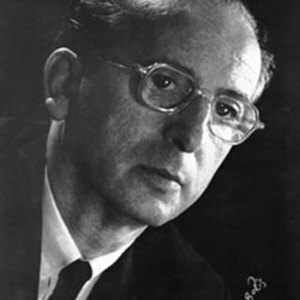 February 24, 1967) was a Jewish German American composer, known for his bravura Carmen Fantasie for violin and orchestra, based on musical themes from the Bizet opera Carmen, and for his musical scores for films. Waxman was born Franz Wachsmann in K?nigsh?tte (Chorz?w) in the German Empire's Prussian Province of Silesia. He orchestrated Frederick Hollander's score for the 1930 film Blue Angel (1930) and wrote original scores for several German films in the early 1930s. Waxman was born Franz Wachsmann in K?nigsh?tte (Chorz?w) in the German Empire's Prussian Province of Silesia. He orchestrated Frederick Hollander's score for the 1930 film Blue Angel (1930) and wrote original scores for several German films in the early 1930s. With the Nazis in power from 1933, he worked briefly in France, composing the music for Fritz Lang's French version of Liliom, but arrived in the United States by 1935. He received 12 Academy Award nominations, winning in consecutive years for Sunset Boulevard and A Place in the Sun. In addition to his film scores, Waxman composed concert works and, in 1947, founded the Los Angeles International Music Festival. Waxman headed this festival for twenty years. During the twenty years of his tenure, the festival served as the venue for world and American premieres of 80 major works by composers such as Igor Stravinsky, William Walton, Ralph Vaughan Williams, Dmitri Shostakovich and Arnold Sch?nberg. According to the autobiography of fellow composer Mikl?s R?zsa, Waxman conducted a performance of the Stravinsky composition Greeting Prelude (based on the song Happy Birthday). The performance lasted exactly sixty seconds. In this book, A Double Life, R?zsa stated that Stravinsky gave precise instructions that a performance of this piece should last exactly sixty seconds. Consequently, Stravinsky was very happy with Waxman's conducting of the work. Waxman died of cancer in Los Angeles, California, at age 60.